When private detective John Wesley Tucker is hired to do a routine background check for an aspiring politician, he finds himself stalked by evil. East Texas is not the center of the known universe, and Tyler is hardly a major metropolis, but people are people wherever you find them. In his service to others, Tucker will be the target of a professional assassin, follow the strange clues of a deranged man while seeking to find kidnapped children, and bring home a teenage girl who has been lost to the streets. In the end, he and those around him will be drawn into a trap from which few will walk away. John Wesley Tucker is neither an ordinary detective nor an ordinary man. Certainly there is more about Tucker than meets the eye, but is he even human? 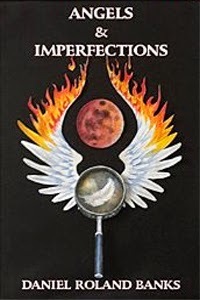 A detective mystery, a thriller, and an exploration of current conflicting ideas and beliefs, with action, intrigue and a distinctly spiritual twist, Angels & Imperfections is contemporary, suspenseful, relevant and at times, violent, offering a unique cultural point of view not often depicted.